Hello. I’ve prepared something special for you today. It’s about a beautiful bag I’ve been looking at Zaful for a long time. 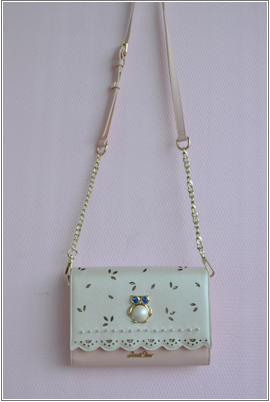 It is pink and white with golden details and small white pearls from the front. It has good quality, there are plenty of places to place keys, pictures or various cards. The price is affordable. This adorable bag goes with many dress combination, I think I’ll wear it every day. I think I’m in love! On Zaful you can find more beautiful bags, in different colors, with various details and various models. They have a huge collection of bags. I’m sure you will find the one that suits you, which suits your style. The prices of bags are more than affordable, and delivery and payment is safe. Please ceheck thir amazing leather backpack.